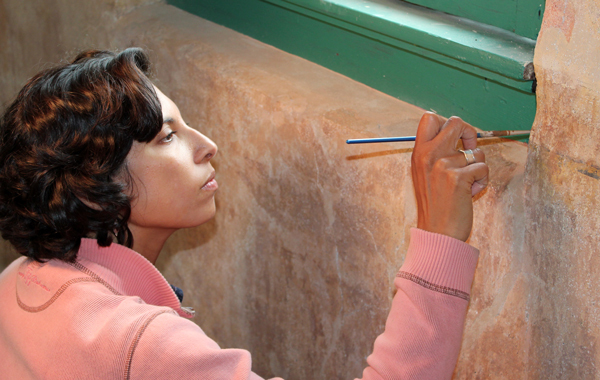 We specialize in the conservation of wall paintings, murals, and historic architectural finishes. Our services include conservation planning, condition assessments, materials research, conservation treatments, architectural paint investigations, paint analysis, and maintenance planning. Many years working in Europe and the US have convinced us of the paramount importance of employing traditional techniques and materials when working on historic wall paintings, alongside keen and careful assessment of new research in our rapidly developing field. 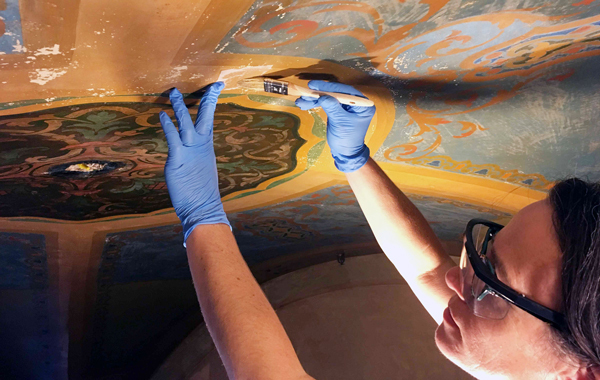 We have extensive experience working on large, interior painted schemes in trusted teams of qualified conservators and skilled conservation technicians. We thrive on collaboration with colleagues in allied professions. 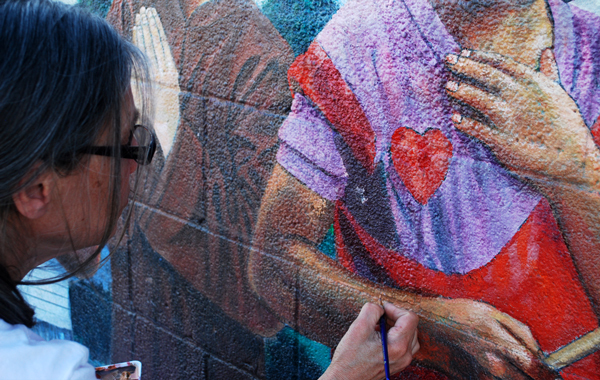 Principals May and Burch have been honored to survey, examine, and treat numerous public art murals across the County of Los Angeles and beyond, from one of LA’s earliest Chicano murals to more recent beloved icons.